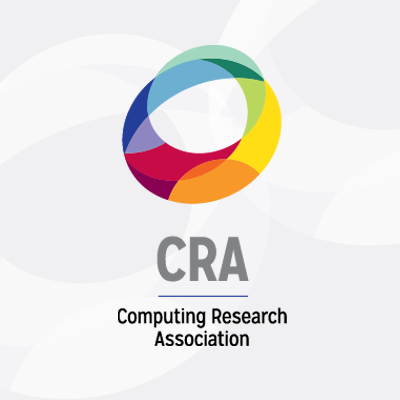 Five leading computing societies and associations today released a letter they’ve jointly sent to House Committee on Science, Space, and Technology Chairman Lamar Smith (R-TX) and committee Ranking Member Eddie Bernice Johnson (D-TX) expressing their concern over mischaracterizations of research on information diffusion in online social networks at Indiana University. The work has come under fire from Smith and House Majority Leader Kevin McCarthy (R-CA) who believe it may represent an affront to free speech. (Jeffrey Mervis in Science Magazine has good coverage of the controversy.) The joint letter argues that the work is focused on significant problems in computer science and calls on the committee to consult subject-matter experts and not rely on media mischaracterizations as they investigate the work further. The research project is a scientific study of how information spreads in social networks – a communication landscape that is fundamentally different than anything that has come before. It uses automated sentiment analysis algorithms and other network analysis tools to study real-time Twitter streams of millions of publicly available tweets to attempt to understand how information is spread across the network. The work can help internet users discover where information they glean from the web or social networks has come from – did it arise organically, did it originate from authoritative sources, or has it been spread by bots designed to “game” social networks and spread misinformation? The work can provide great value to internet users in the U.S. by helping them understand the source of the messages they receive, allowing them to potentially avoid malware or phishing attacks. The work can also have great value to other researchers studying the flow of information across the network, including a better understanding of why some memes travel faster than others, and how bad actors can game the network to their advantage. And we believe the work can have value to national security and law enforcement as well: helping explain how movements organize across the globe using these new communication tools, helping understand the effectiveness of government communications for disaster preparedness and response, and helping authorities understand how frauds propagate. We do not believe this work represents a threat to free speech or a suppression of any type of speech over the internet. The tools developed in the course of this research are capable of making no political judgements, no prognostications, and no editorial comments, nor do they provide any capability for exerting any control over the Twitter stream they analyze. The work is not a database tracking hate speech, or even defining it. It simply visualizes the patterns of flow of publicly available information in the Twitter stream. We ask that as you exercise your oversight responsibilities over the National Science Foundation, which funded much of this research, you call on subject-matter experts to help guide your investigation and not let media mischaracterizations of the work color your effort. We commend you for your long support of fundamental computer science research and your appreciation of the value of the Federal investment. We trust that your investigation will draw on your long experience with the computing community, and we stand ready to help in any way that we can. Update (11/7/14): The letter has generated some positive press. Jeffrey Mervis in Science Magazine: What does it take to get your grant targeted by Congress?